A crowd-pleasin' appetizer for any occasion and any time of year! 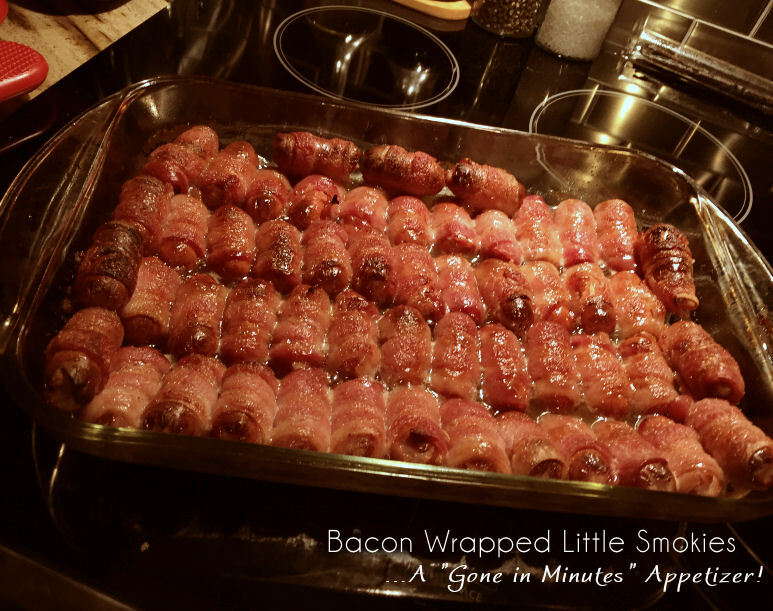 This entry was posted in Appetizers, Recipes and tagged appetizers for a crowd, bacon appetizers, bacon recipes, bacon wrapped, bacon wrapped appetizers, bacon wrapped cocktail wieners, bacon wrapped lil smokies, bacon wrapped little smokies, bacon wrapped smokies, bcon wrapped food, bron sugar lil smokies, brown sugar little smokies, brown sugar smokies, christmas pot luck, christmas side dish, cocktail wiener appetizers, cocktail wieners, easy appetizers, game day appetizers, holiday appetizers, lil smokies, little smokies, little smokies appetizer, little smokies recipes, new years eve appetizer, new years eve appetizers, party appetizers, quick and easy appetizers, quick appetizers. holiday food.